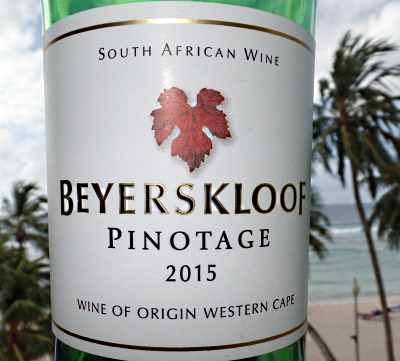 My Wine of the Month for February 2017 is Beyerskloof's Pinotage 2015. It's their basic large volume 'white label', and this one was bulk-shipped and bottled in the UK. 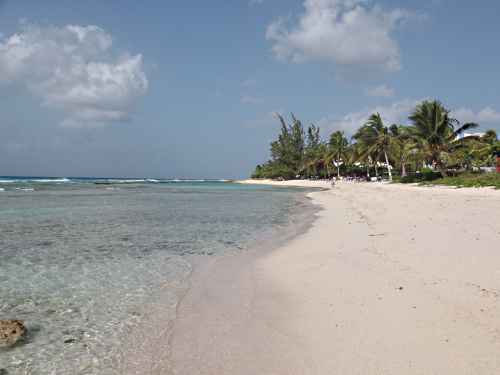 And it was most welcome, served with a take-away pizza on our hotel balcony overlooking the Caribbean. We spent most of this month in Barbados. No restaurant had Pinotage and I didn't se any in the shops. But I had packed this emergency bottle in my suitcase before leaving home with some plastic wine 'glasses' from Poundland. After a couple of weeks I could resist no longer. The juicy black fruit Pinotage flavours from this most typical Pinotage brought a big smile to my face. The bottle came chilled from the fridge into the 30C warmth of a Barbados evening where it soon reached ideal drinking temperature. I am indebted to Jon Clements over at PinotageUS.com for the news that a specialist company in Pennsylvania are now producing a Pinotage vinegar. Supreme Vinegar LLC in Bensalem, PA makes niche vinegars without added sugar, chemicals, or additives combining old techniques and modern chemistry in order to ensure the quality of the final product. "Right now I use only South African Pinotage wines, buying retail/wholesale by the case until I can see if the market justifies importing bulk amounts. One case of 750 mL bottles can get me almost 6 cases of 250mL bottles of wine vinegar. I primarily use Nederburg, the most common available here in Pennsylvania, but there are some others I might add to the mix." He'd be interested to hear of any boxed/bulk Pinotage available in the US. "After contrasting the Pinotage Red Wine Vinegar with the regular Red Wine Vinegar the Pinotage flavors really stood out." Read Jon's full review in his article here.